Embrace simple elegance with a splash of colour. 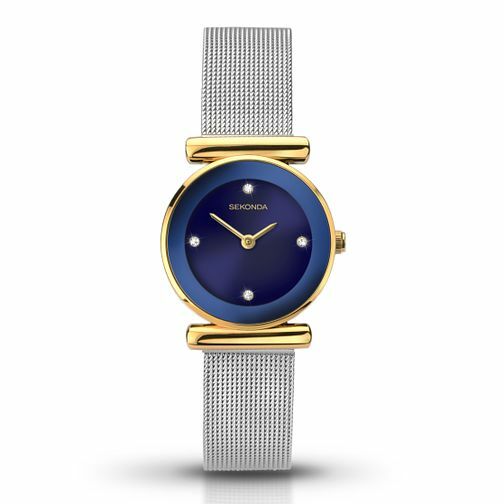 This chic stainless steel mesh bracelet watch by Sekonda features gold tone accents and a vibrant blue dial set with delicate stone markers for just a touch of sparkle. Sekonda Ladies' Stainless Steel Mesh Bracelet Watch is rated 4.7 out of 5 by 7. Rated 5 out of 5 by Anonymous from Fantastic watch This watch is excellent you can reduce the bracelet of the watch by yourself to fit your hand size.